Working remotely has become a huge part of the technical landscape in the last 10 years. Even more so for entrepreneurs who are using virtual assistants and working in cross locations to become as productive as possible. With the advent of Remote Desktop (RDP) and Virtualization this idea of working on one computer from another computer is becoming very mainstream. However some of the limitations of getting good connections is not always easy. Especially when you're trying to use a web browser to access your current computer. There are currently some offerings on the market right now that are okay and will probably get much better with time, so this article will run through some different scenarios you can use to access your computer from anywhere in the world. The two big players currently working in this namespace are LogMeIn.com and GoToMyPC.com. Both of these services have received good recommendations. Cnet. GoToMyPC has the 30 day free trial and costs $20 a month thereafter. LogMeIn does have a free version and a Pro version which runs $70 a year. I have currently installed the free version of LogMeIn. Even though it's not perfect, it does currently act as a decent backup if my current VPN (Virtual Private Network) connection goes down. I also have it enabled on my home PC in case of an emergency. While I don't really need the service right now, I know the service will become more beneficial as I grew my business. 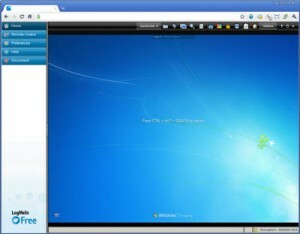 Above is a screenshot of LogMeIn on my work PCs browser connecting to my home PC. I just fire up chrome, go to logmein.com and it connects me with my home PC. You do need to install a small client on the PC that you want to get remote access to. The responsiveness with the free version is not that great, but if you plan on using the service all the time then you will most likely want to go with one of the premium packages. I have read some good reviews and overall good recommendations about GoToMyPC so I'm sure it is pretty reliable and just as good as LogMeIn as many claim it to be better. Since both services have decent reviews across the web, I would say first download LogMeIn and try the free version. If it doesn't meet your expectations, then download the free 30 day trial of GoToMyPC and see how it works, at that point you can make a decision on which one you want to pay for. If you're just using the service as a means to use your computer for small amounts of time then the free version of LogMeIn should suffice. If you have VPN software that you use at home, such as Citrix, Shrew, OpenVPN, Hamachi, Cisco or any other then RDP is available the moment you log in. Windows RDP is a great tool, but it is very useless when the UI portion of your desktop chokes. Especially when your at crunch time on project or you have a client who is breathing down your throat to get something done. 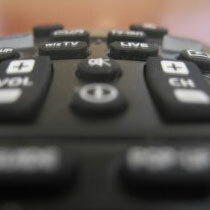 Here is a set of tools that can really help improve your remote experience. Setting up a VPN is a complex process and can take a lot of time. If you're not really into networking, or just have a general idea of how it works then the following links may be a little bit beyond something you want to try; however, if you're feeling brave, and you have worked with a Linux shell and understand networking lingo then the following links may be something you want to try. In short, they are free ways to create a VPN. It definitely does not have the flexibility of using a browser to connect your computer, however if you have two computers at different locations that you use often than these could be possible solution that don't cost you anything. Their are free SSH servers available for Windows. Also getting your own Linux server set up may be intimidating for most people, but the process is much simpler than it used to be with the help of great virtualization tools like virtual box which is free. You can simply install virtual box on your current computer then load up a free Linux distro on your virtual box, from say, Ubuntu and run through the wizard and your ready to add a Linux server to your own local network. I recently considered the purchase of a Chromebook. The salesman tells me I can use Google’s RDP or other apps. Through my research I discovered that with Chromebook, Google makes it virtually impossible to remotely access your office/home computer. I tested their RDP with my ‘puter and Galaxy phone; no joy. Then my 19 year old son got me onto SplashTop – Amazing. I had purchased GoToMyPc and comparing the two – SplashTop wins for me. Only 4.95 last I checked. Very Nice… I’ll have to check out SplashTop! Yeah I haven’t had great success with Chromes RDP stuff either. Maybe over time it will get better.